Meseta de Cacaxtla Tour with Conanp – La Chicayota | ¡VidaMaz! Today we had the very good fortune to meet some awesome people doing wonderful work to promote economic development, environmental sustainability, and ecotourism in La Meseta de Cacaxtla preserve. We accompanied Gaby from CONANP (Federal Department of Natural Protected Areas) and Martha Armenta from CONREHABIT (Conservación y Rehabilitación de Fauna Silvestre) on a tour of several villages in this protected area: La Chicayota, Comunidad de Guillermo Prieto, and Los Llanitos. CONANP invested 1.5 million pesos last year (2011), with more requested for this year (2012). 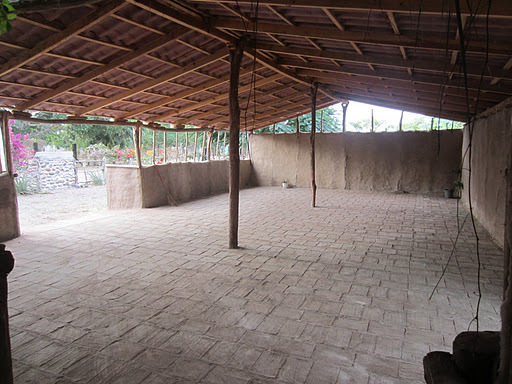 100% of this money goes towards projects in the 50,000 hectare La Meseta de Cacaxtla preserve. While the Meseta de Cacaxtla was named an ecologically and archeologically protected area in 2000—it is home to 26 species of amphibians, 59 species of reptiles, 79 species of mammals, and 340 kinds of birds, as well as to numerous pre-historic sites including Las Labradas—that status has had little meaning. No efforts were made to stop the hunting and poaching of protected animals, nor the looting of archeological sites, and the local communities continued, as they had for generations, to be generally poor and lacking in resources and infrastructure. 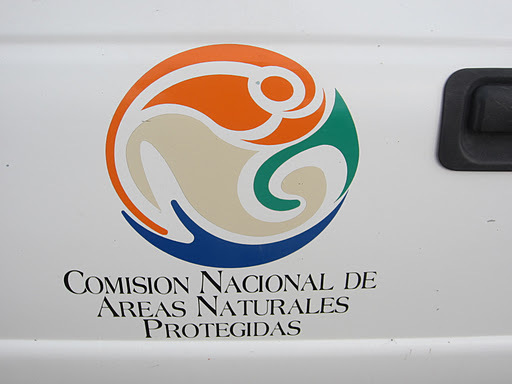 Five years ago, however, CONANP began investing in the Meseta: ecotourism projects in Barras de Piaxtla, La Chicayota, and El Pozole, and productivity projects in Guillermo Prieto, Coyotitán, Los Llanitos, Toyua, and Mármol. 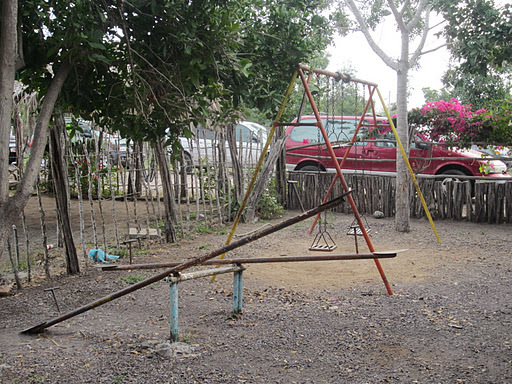 This first post will be about our first stop, La Chicayota. We have driven through this small town many times on our way to take visitors to Las Labradas, and once I know we stopped there hoping for some refreshment. CONANP federal funding is supporting quite a few plans for La Chicayota because it is the gateway to Las Labradas Petroglyphs, a UNESCO World Heritage Site. To reach it, you exit at Km. 51 on the maxipista just north of Mazatlán. The first order of business should definitely be road improvements, as it’s long been our complaint that entrance to this gorgeous area is quite the bouncy, dusty, pot-holed endeavor! While we didn’t hear about any CONANP plans in this regard, we are still hoping federal or state tourism authorities or others are budgeting for this much-needed improvement. 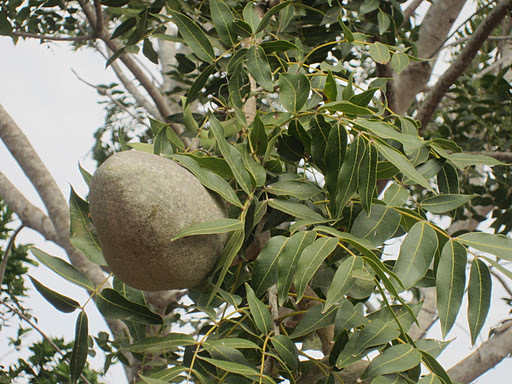 The town is named after this tree, la chicayota. My dictionary tells me it is the same name in English, but I am not familiar with it. The main street in town shows you how (un)developed La Chicayota is. The residents keep the area very well-tended, with many flowering trees and other plantings. The community consists of 12-20 families. With CONANP funding they have built a community kitchen. 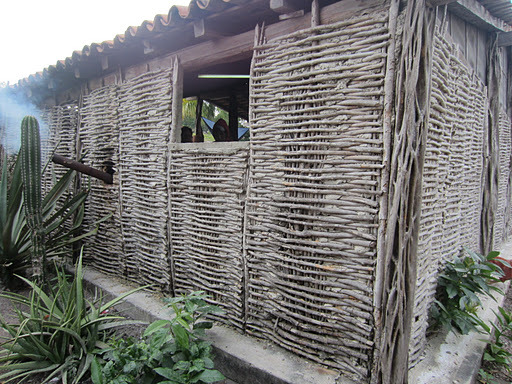 It is a beautiful building using local materials, building techniques (sort of woven limbs) and builders. 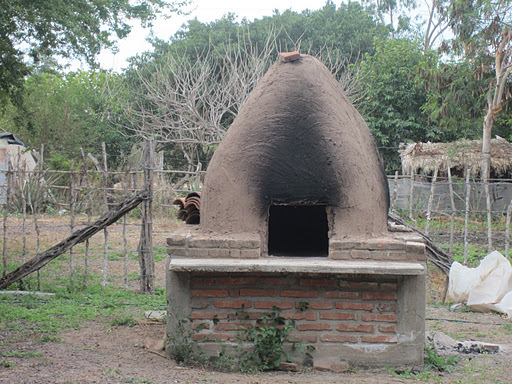 Outside the community kitchen is a large earthen oven for cooking breads. 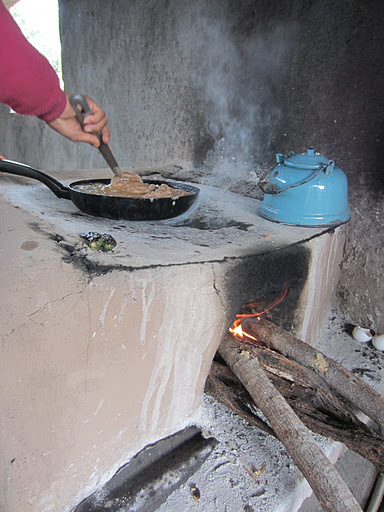 Inside the community kitchen is a wonderful wood-fired comal, great for cooking tortillas or almost anything else (cooking refried beans, below). You can tell from this cook’s smile how friendly people were and how welcome they made us feel. They are so eager to learn how to cook, give tours of their local area, and in other ways help national and international visitors to the area. 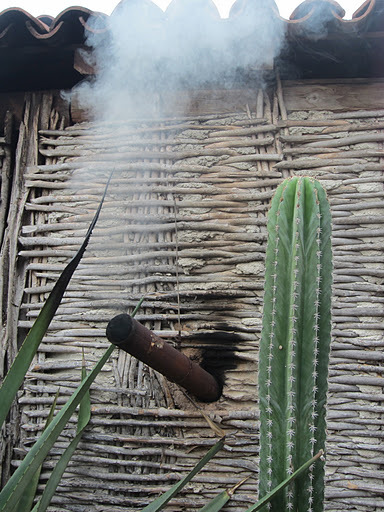 The indoor wood-fired comal smartly vents to the outdoors, and I was fascinated with how beautiful the smoke looked against the woven wood, the cactus, and the roof tiles. Beside the indoor kitchen is a very large community meeting space or party place. 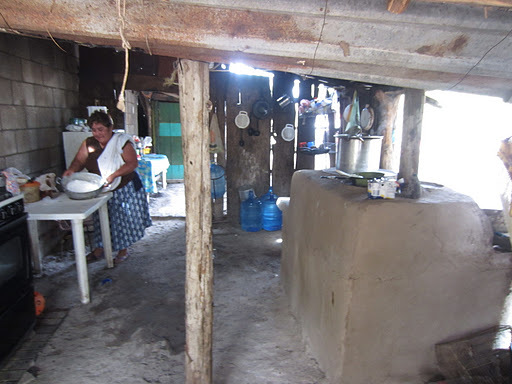 In addition to the community kitchen, there is a smaller “guest” kitchen, with another wood-fired stove and sets of dishes. Behind these two kitchens and the meeting space are public restrooms. Right now they flush by dumping a bucket of water into the basin, but there are plans to install a septic system or dry toilets. 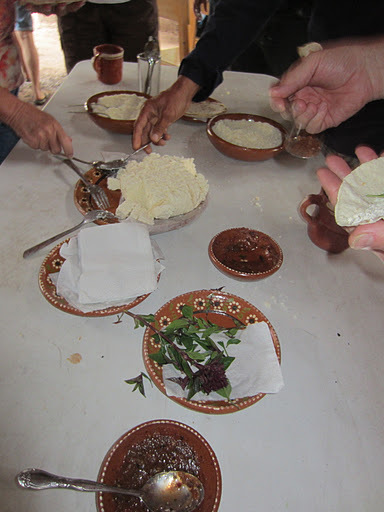 For breakfast this morning the ladies kindly served us freshly made tortillas de maiz with queso fresco (de vaca), fresh-picked basil, freshly made salsa and refried beans. They ROCKED! There is nothing like a tortilla cooked on a wood-fired comal with fresh cheese! One of the terrific women I met here is named Nereida. She told me that the quesos or cheeses are made in a nearby town. Some are made from goat’s milk, other’s from cow’s milk, and that they are made in several different styles. She gave me her cell phone number and invited me to call her anytime, as she’d be happy to take us on a queso-making tour. I can’t wait! 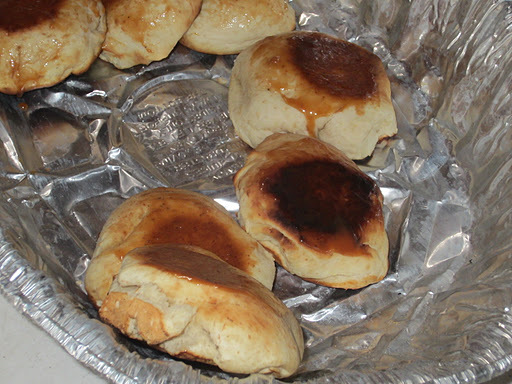 Almost just as wonderful as the fresh tortillas con queso were the panes de mujer, served fresh from the oven and dripping with brown sugar glaze. I noticed that these wonderful breads arrived from the house next door, so of course I wandered over there. 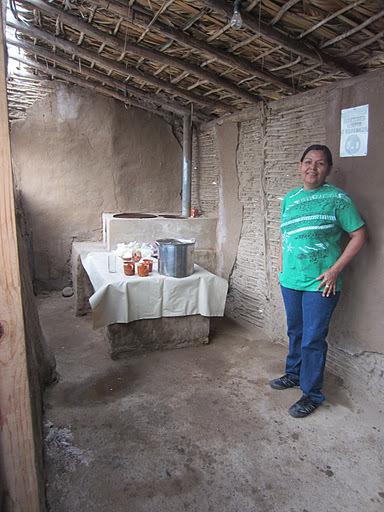 In a spotlessly clean outdoor kitchen I met Silvia, mixing up some more bread dough. 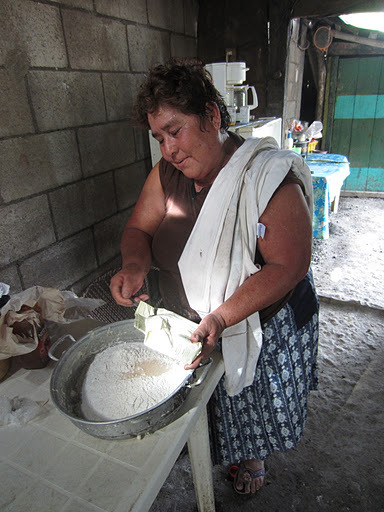 She didn’t measure anything–just eyeballed and dumped all the ingredients into a bowl, mixed with warm water, and set to baking more wood-fired-oven-baked panes de mujer. OMG they were good! 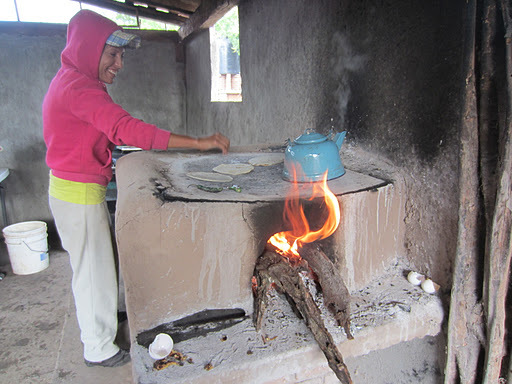 Above is a video of Silvia removing the breads from her wood-fired oven or hornillo. At the end of the clip you will also see José, one of the project’s leaders. 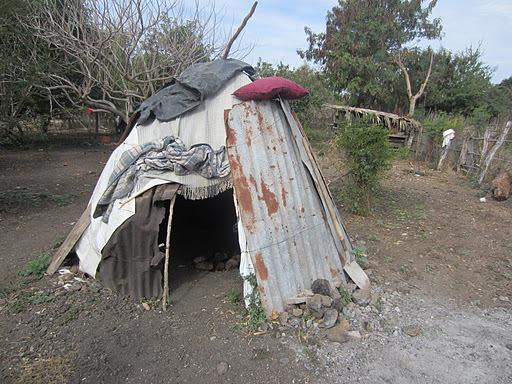 To be honest, what really brought me over to the neighbor’s house was noticing this: a temazcalor sweat lodge. Silvia told me all about how to fire it up and make it work. She said her grandchildren and her get in it every other night, and that it’s terrific for fighting colds and maintaining good health. She said after sitting in the temazcal for a while, you feel that every impurity has been cleansed from your soul. Then, she also gave me a cell number, and said to call her anytime I wanted to take a sweat. You bet I will! 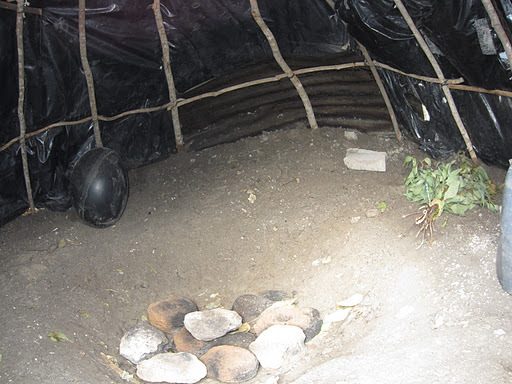 This is a fish-eye view of the inside of the temazcal. You can see that Silvia and her family made it with recycled materials. No Home Depot purchases for them! 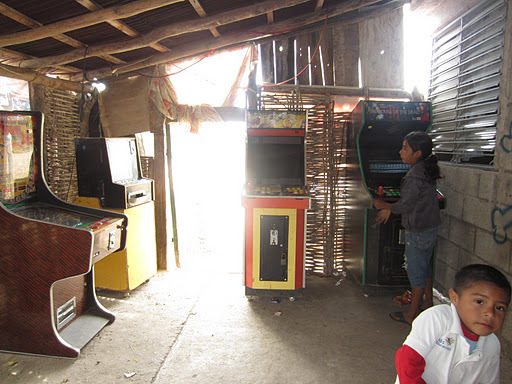 Next to Silvia’s kitchen and temazcal, on her front porch, is La Chicayota’s video arcade. The kids seem to love it. 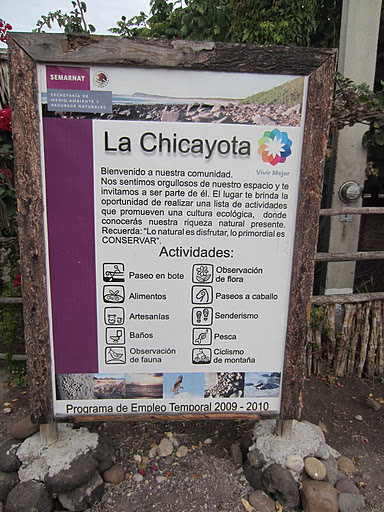 In Chicayota you can eat, take a boat tour, go fishing, mountain biking, or horseback riding. The best way to visit, at this point in time and if you are not very comfortable with Spanish or rural Mexican travel, could be to get on one of CONANP’s tours. Let me close this post with a video of Gaby telling us a bit of history about the Chicayota project. Martha is translating. Behind them, against the wall you can see José (far left) and Nereida (far right with glasses). 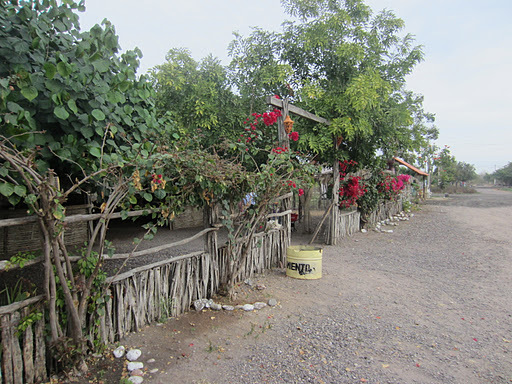 To see the second post in this series, about our stop at Comunidad Guillermo Prieto’s community orchards, click here.